After what has been one of the greatest years in history for British sport, the often slightly inane Sports Personality of the Year award has become a huge debating point and the 2012 winner will be the most deserving ever. It is safe to say that there are at least a dozen candidates that in any other given year they would be odds-on favourites to win, but given the outrageous success of British sportsmen and women some are not even being considered. Here at Freebets.org.uk we have assessed the leading candidates for the award. 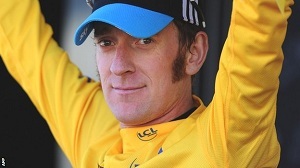 What seems an age ago before the start of the 2012 Olympic Games, there stood pretty much one man alone in any sort of discussion to be the Sports Personality of the Year this time around, that man being Bradley Wiggins. After becoming the first Britain in history to win the Tour de France he was a strong odds-on favourite, but when he backed this up with a gold medal in London, his fourth in total and seventh of any colour, surpassing Steve Redgrave’s record he seemed an absolute shoe-in. At this point the best odds on the cyclist were around 33/1 but given the exploits of his compatriots since then have seen him to come all the way in to a whisker away from evens. In Wiggo’s favour as well is his actual personality as he won legions of fans either side of the Channel thanks to simply being pretty cool; this might just give him the edge over his fellow nominees if he even needed it. Mo is leading the chase of the solely Olympic athletes in the pack and given his spectacular achievement in London it is no surprise. Given that Great Britain had never before won a long distance gold at the games, to go out and win two himself really puts Farah in the category of sporting greats of the country. The exciting nature of the races will live long in the memory which may also give the Londoner a chance over Wiggins as his events are simply not built for the thrilling finishes that Farah’s are. The now famous Mobot has also caught on round the country which could just get people voting and at 5/1 he might be worth a punt. The fact that any of the candidates this year would have been guaranteed the award in other times is best demonstrated by Andy Murray. In 1997 a quarter-final appearance at Wimbledon followed by a runners-up spot at the US Open was enough for Greg Rusedski to win Sports Personality of the Year. This year Murray became the first Britain to reach the Wimbledon final since 1938, the first Britain to win Olympic singles gold since 1908 and the first Britain to win a Grand Slam since 1936 when he won the US Open and he is still out at 5/1. Given these facts it seems ridiculous that Murray is unlikely to win the award but that is what he is faced with. Despite winning over some people with his emotional speech at Wimbledon there are many that just can’t engage with the Scot and despite his momentous achievements this will count against him. One candidate that has no problem winning people over is the Golden Girl of the Olympics Jess Ennis. As the face of the games her image was plastered everywhere for the entire summer and she lived up to the expectation by winning heptathlon gold in thoroughly convincing style with her win in the 800 metres to secure gold being one of the sights of the whole event. She has already been awarded an MBE and the freedom of the city of Sheffield for her achievements but she will struggle to win this award despite her well-deserved popularity. Given that Denise Lewis won the same event in 2000 and other candidate’s achievements have either never happened before or not for an awfully long time, this will hold her back. 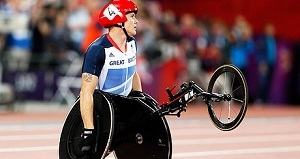 Winning four gold medals at the Paralympics to add to his two from Beijing four years ago, the Weirwolf has become one of Britain’s greatest ever athletes. 800 metres, 1500 metres, 5000 metres and the marathon represents an unbelievable range of distances that Weir can call himself the best in the world over. Incredibly he took part in seven races in the games in only ten days and to come away with gold from four of them is something extraordinary. He is an inspirational figure and if his presentation is compelling enough on the night of the awards he could well be worth a flutter at this fairly generous price. Another star of the Paralympics and a winner of the Young Sports Personality of the Year award in 2008, Ellie Simmonds’ price of 80/1 is very high given her achievements. Having won gold in both the 400 metres freestyle and the 200 metres individual medley and in doing so setting new world records in them both at just 17-years-old, she is a phenomenon in disability sport. She did manage similar feats at the Beijing games though and missed out on the main award so she could well be in the same boat this time around. 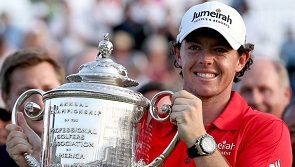 It has been some year for the Northern Irishman, but it is very unlikely that his remarkable exploits on the golf course are going to be enough to earn him this gong. Winning the PGA Championship and following it up with wins at the BMW and Deutsche Bank Championships then to go on to help Europe secure an amazing Ryder Cup win and of course securing the world’s number one spot McIlroy will present a persuasive case. However, no golfer has won the award since Nick Faldo in 1989 when he first won the Masters and despite the huge success of the 23-years-old he is unlikely to become the first man to do it since this year, his time will come though and he will undoubtedly win it in the future. 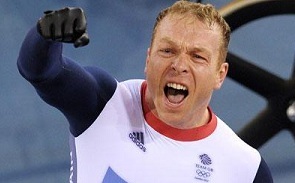 Only three people have won the award twice in the past, Henry Cooper, Nigel Mansell and Damon Hill, Chris Hoy has an outside chance of joining them this year. Another two gold medals to add to his three from Beijing and one from Athens makes him Britain’s greatest ever Olympian and on top of that he comes across as a really nice guy which always helps. Despite two gold medals at the Olympics obviously being a stunning effort, given the success of the cycling team as a whole it might just fail to stand out as the likes of Jason Kenny and Laura Trott also picked up two golds at the games. 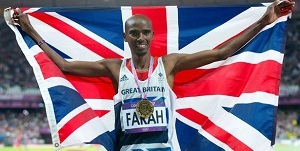 He has an outside chance because he has become such a legend of British sport but it seems unlikely he will triumph. The standout bet may just be David Weir at 28/1 with Stan James who offer a £10 free bet when registering, it might just be worth signing up and having a free flutter on the Weirwolf.